Be careful of the books you read, for they imprint your mind. Be careful of the products you use, because they invade your body and be careful of the things you speak because your voice speaks with frequency. The Black Hair Conspiracy takes an in-depth look into the psychological effects of social media standards of beauty and its mental and physical impact by connecting historical facts with psychological theories by some of the greatest philosophers in history, The Black Hair Conspiracy debunks a series of lies put in place to psychologically enforce and control the thinking that we have learned today. 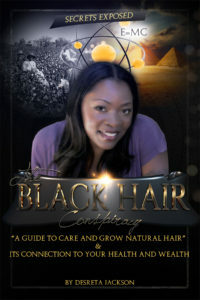 The Black Hair Conspiracy is a step-by-step guide on how to grow and maintain healthy, natural hair from maintenance to protective styling; while disproving common lessons and practices passed down by mass media and the hair care industry. The Black Hair Conspiracy will provide you with a comprehensive understanding of how the hair grows along with how to safely find protective styles. It also warns you against the dangers of bad braiders, hair stylist and salons, all while invalidating common myths and customs we have psychologically been brainwashed to believe. “It is not just hair” is the core of the book that teaches how to connect your own hair energy and harness the powers to understanding your personal and financial wealth connections! Have fun documenting your own journey with our interactive hair diary and learn your hair Do’s and Don’ts. 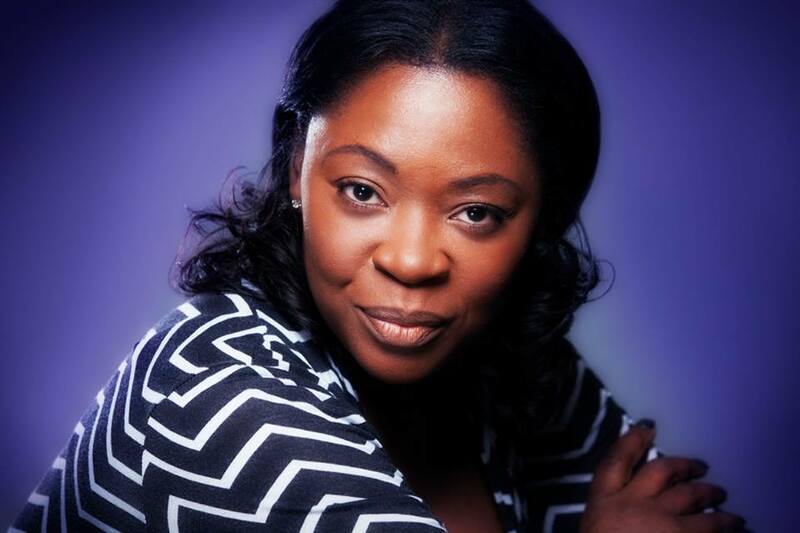 Desreta Jackson, born in Tortola, British Virgin Islands, is best known for her starring role as “young Celie” in the 1985 Oscar-nominated film, “The Color Purple“, directed by Steven Spielberg with Oprah Winfrey, Whoopi Goldberg, Danny Glover, and Laurence Fishburne. Her stellar performance in “The Color Purple” launched her career, landing her such roles like those in SisterAct, Mancuso FBI and other made-for-TV movies. It also led to Ms. Jackson producing one of the first reality shows made for television, setting a trend before reality shows became the accepted norm. Among many other accomplishments, Ms. Jackson was honored with the 2011Prestige Award for her contribution to African American history, being honorably cited in the African American Film Encyclopedia, as an iconic actress in cinematic history. She is truly a living legend where you may see her clothes she wore and her name in the Smithsonian National Museum of African American History and Culture for the role she played in The Color Purple. She was also honored with not one but two prestigious MAC AWARDS by the state of Virginia for Black History Month (VaBHMA) where she was the guest of honor being recognized for her philanthropy in the black community and entrepreneurship along with the BULLDOG award for her devotion and perseverance to overcome obstacles. These awards are given only to those who have personally and professionally advocated a future of racial freedom and equality to keep the “Yes We Can” dream alive. Channeling her energy in other directions, Desreta’s natural business savvy and negotiation skills inspired her journey into social activism. She invested over 1.1 million dollars of personal finances into rebuilding her community of Watts, Los Angeles. She dedicated time to investing in home restoration projects that provided victims of Domestic Violence, Sexual Abuse, Homelessness and their families with a home they could call their own. She pioneered a program that focused on educating and hiring members of communities in need, leading to her company Mohogany Mane and its’ innovative concepts to go viral. Ms. Jackson’s philanthropic approach attracted many international companies seeking her advice and national companies for her strategic marketing. She has worked in creating and restructuring programs along with managing events with a strong focus on execution and closure. Currently, she is making her name in yet another industry. She’s setting another level of innovation and business foresight with her company brand BlackSilk, “The First African American Luxury Hair Care Line,” where she was credited in 2012 as “the Madam C.J Walker of the New Millennium…” At that time she was even recognized by “Innovative Technology and Breakthroughs” for her contributions to making a change in the hair care industry by bringing the first of its kind, 3-step system to press the hair silky straight as a replacement to the conventional perm. (the first expo to break race and gender lines and bring only all natural vendors under one roof) as well as through her own television and film production company, Desicon Pictures where all productions are designed to grow, protect or heal the body, mind, and soul.